Uninterrupted electricity is essential for nuclear safety. Without electricity, nuclear power plants are unable to pump cooling water through reactor cores and spent fuel pools to prevent overheating and fuel melting. Without power, plant operators cannot control reactor activity or remotely monitor spent fuel. It was the loss of electrical power that led to the partial-meltdown of multiple reactors, significant radiation release and damage to the spent fuel pools at the Fukushima Daiichi plant in Japan after the devastating 9.0 earthquake and tsunami in March. First, I can’t move on without noting two problems there in the last paragraph. I don’t know how Feinstein defines it, but I think most of the world has dropped the “partial” from the assessment of the meltdowns at Japan’s Fukushima Daiichi nuclear facility. Maybe DiFi has some secret pictures that show tiny bits of intact cladding floating on top of the blobs of corium now understood to be at the bottom of at least some of the damaged reactors, and so she feels uncomfortable going all the way, but the company that nominally runs the facility and the country that is unlucky enough to serve as its home feel sure enough to call it a meltdown without the modifier, so I think US Senators should, too. Also, it is now believed that a meltdown in at least one of the reactors started before the tsunami that followed Japan’s March 11 earthquake. In other words, as I reported previously, the earthquake damaged the containment vessel or, more likely, the cooling system before the massive wave knocked out the backup generators and, thus, power to the cooling system. So, the loss of power did not lead to at least some of the meltdown—earthquake damage did. That is not just an academic nitpick, it goes directly to how Feinstein and the entire US regulatory structure should evaluate the safety of domestic nuclear power plants. Second: “Uninterrupted electricity is essential for nuclear safety.” Just think about that for a second. Uninterrupted electricity is essential for the safe generation of electricity. It is a logic that seems as vulnerable to reason as nuclear cooling systems are to seismic and tidal events. The incident [Tuesday’s magnitude 5.8 quake centered in Virginia] was a stark reminder of how vulnerable America’s nuclear power plants are to natural disasters. I mean that congratulations sincerely. Yes, we didn’t really need a new reminder—Japan’s Fukushima disaster is recent and ongoing—but the Mineral, VA earthquake was another indication that our nuclear plants are vulnerable to natural and manmade disasters at many points. And more American politicians should say just what DiFi said, instead of brushing off Japan’s already extant stark reminder as a “can’t happen here” event, or quickly forgetting Tuesday’s quake because it resulted in “minimal damage and no loss of life” (to use Feinstein’s own rosy words). First, our country needs a comprehensive, national policy to address the management of spent fuel, the radioactive waste produced while generating electricity by fission. Second, today’s efforts to protect against seismic and flooding hazards may not be sufficient. Third, we must improve the redundant safety systems to respond to disasters. Finally, for spent fuel stored at reactor sites, dry casks are safer and more secure than permanent storage in spent fuel pools. Both the first and fourth points note that storing spent fuel in pools of circulating water is not a particularly safe, efficient, or cost-effective way of dealing with one of nuclear power generation’s biggest problems. Not only are these pools also dependent on an uninterrupted source of electricity to keep water circulating and levels high enough to keep the rods—now packed in at many times the pools’ original designed capacity—from overheating and melting themselves or cracking the water and triggering hydrogen explosions, the cooling systems for the pools are also vulnerable to seismic events. Feinstein says that spent rods should be moved to dry casks and eventually to a secure repository, observing that spent fuel in Japan housed in dry casks had no problems after the March 11 quake and flood. Strangely, though, the senator cites the Nuclear Regulatory Commission’s special taskforce report on the aftermath of the Japanese disaster as the inspiration for making this call for dry casks and a national fuel repository—strange because, as both Physicians for Social Responsibility and I noted back when the report was released, the task force pointedly did not make any recommendations for moving spent fuel to dry casks or to off-site repositories. Feinstein also says she has learned that protections against earthquakes and flooding may not be sufficient. Again, DiFi modifies—there is really no need to say “may” here. From Fukushima Daiichi to the reactors in Virginia known as North Anna 1 and 2, it should now be very clear that nuclear plants are walking a precarious line between “minimal damage” and catastrophic failure. Let’s look more closely at what happened on Tuesday. A 5.8 earthquake centered 15 miles from the North Anna nuclear power generating facility cut electrical power to the plant. Backup diesel generators kicked in to provide power to the cooling systems, averting the overheating of either the reactor core or the pools of spent fuel. Good news, as far as it goes, but there are several disconcerting caveats. First, we don’t know if the plant—which is theoretically designed to withstand a quake of a 6.2 magnitude—has actually emerged from Tuesday’s tremor completely unscathed. The reactors are currently being brought to a cold shutdown so that they may be inspected further. Not only must the containment vessels be more closely inspected, the cooling system must be tested for leaks. Some of the pipes and conduits for that system are underground. As reactor expert Paul Gunter has noted, an underground rupture, one that might be leaking radioactive tritium into ground water, is quite possible and needs to be investigated more fully. 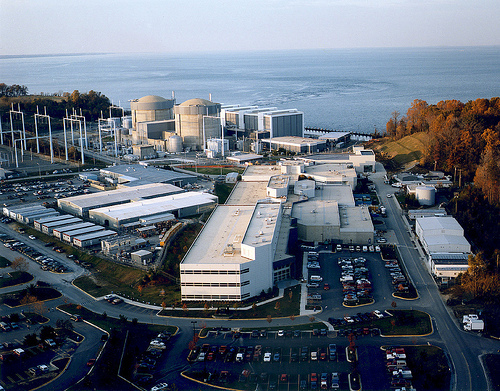 Second, the North Anna plant gets its name from Lake Anna, an artificial lake created to provide a reservoir for the cooling requirements of the nuclear facility. What if the quake had caused the dam that holds the water in Lake Anna to rupture? Beyond the dangerous flooding to well-populated communities downstream, the water level in the reservoir would drop to a point where the nuclear plant’s cooling system would fail. If this were to happen, no amount of redundant power generation would fix the problem. Does this sound farfetched? It is not. Virginia is noteworthy for its lack of attention to its aging infrastructure—in fact, according to the American Society of Civil Engineers’ infrastructure report card [PDF], the condition of Virginia’s dams gets a D-minus. Third, not all of North Anna’s backup generators worked on Tuesday. Only three of the four came online after power was lost. (Hooray for required redundancy.) What is not clear is what effect this had on the plant’s ability to function normally, or what would have happened if grid power had not been restored as quickly to the facility. Fourth, there is emerging evidence that seismic activity can increase as the result of the pressure from dammed reservoirs, as well as from hydraulic fracturing (which has been going on in the vicinity of Tuesday’s epicenter). 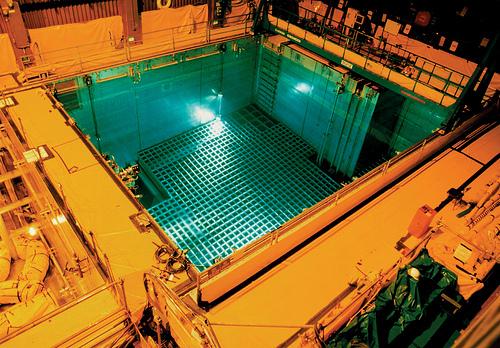 As noted here today and before, there are many systems that have to survive an earthquake—the reactor containment vessel, its cooling system, the spent fuel pools, their cooling systems, the reactor building, the monitoring equipment, and a plant’s connection to a steady supply of electrical power. In theory, all these systems were evaluated when the plans for a nuclear facility were initially approved. They all should survive a quake of a specified magnitude. Since then, Probabilistic Seismic Hazard Analysis (PSHA) has been adopted as a more comprehensive approach in engineering practice. Consequently, the NRC is reassessing the probability of seismic core damage at existing plants. I am not an expert in plate tectonics, but what I read tells me that you would feel more secure with a PSHA-generated standard—and what I have learned from Fukushima is that I want that standard applied to all the systems needed to safely operate a nuclear power plant. But what this report tells me is that the NRC is only in the midst of some process of reevaluating plants’ seismic vulnerability—a process that was to have begun last year but has moved very slowly (and this is only the evaluation stage)—and that this re-evaluation is of the probability of core damage, which, to my eye, is not the same as an evaluation of every system needed for the reactor and the spent fuel pools to remain safe. This goes to explaining the confusion I see over whether just parts or the entirety of a nuclear facility is required to meet a specific earthquake safety standard. But what it doesn’t do is imply that a single, plant-wide standard will be used in the future. As noted when the special task force report came out earlier this summer, the recommendation that the current patchwork of safety rules should be unified and standardized was actually being slow-walked by three of the five NRC commissioners. Finally, one week ago, the commission agreed to give its technical team 45 days to analyze some of the recommendations, but they will be given a full 18 months to analyze the recommendation that the NRC revise its entire regulatory framework in light of lessons learned after the Fukushima disaster. Which brings us back to Senator Feinstein, or, really, her California colleague, Sen. Barbara Boxer (D), who chairs the Committee on Environment and Public Works and has oversight responsibilities over the NRC. While DiFi has written about the lessons of this week’s Virginia quake, Boxer has demanded action on the NRC taskforce report on the lessons learned from Fukushima. At a hearing on August 2, Boxer demanded the NRC pick up the pace on evaluating the recommendations and report back to her by November. With the NRC’s decision on how it will move forward, and the latest in a lengthening string of “wakeup calls” having caused incidents at North Anna and a number of other eastern nuclear facilities, perhaps both of California’s Senators might consider official hearings before then. It must also be mentioned that while I was writing this post, Japan’s Prime Minister, Naoto Kan, has stepped down. Stories on the resignation concurrently cite his dismal poll numbers from an anti-nuke electorate, and the lack of support from pro-nuclear members of his party. Kan, who had previously hinted at leaving after the Fukushima crisis was brought under control (it seems I correctly predicted he’d be gone well before that), has also signaled that he wanted to wean Japan off nuclear power for electrical generation and move more aggressively toward renewable sources. Both possible reasons for his early exit speak to some form of accountability—one to the public, the other to entrenched nuclear industry masters—and both have probably played some roll. But what matters going forward is to whom the next leader will answer, and what happens with Japanese nuclear facilities will make that very clear.